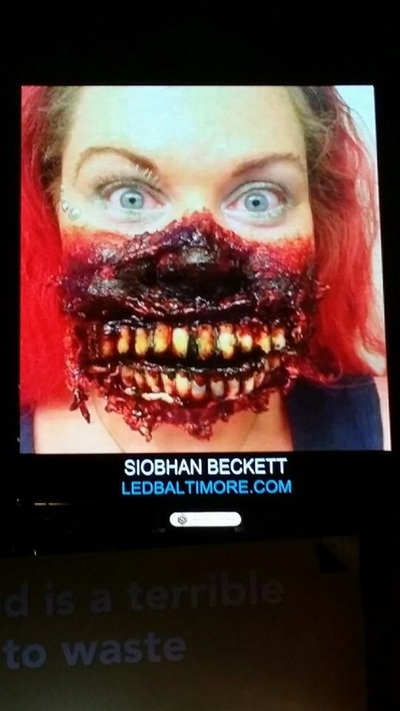 Siobhan was born and raised just outside of Baltimore, in Towson, Maryland. Growing up in the land of pleasant living, she was exposed to the creative weirdness of Baltimore legends such as Edgar Allan Poe, John Waters and Divine at a dangerously early age. 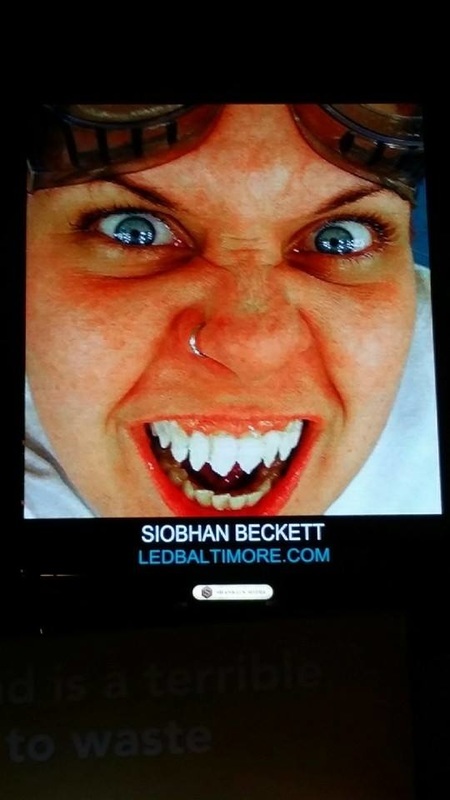 Siobhan is unfortunately unable to confirm any familial relation to the late, great, absurdist playwright, Samuel Beckett at this time. 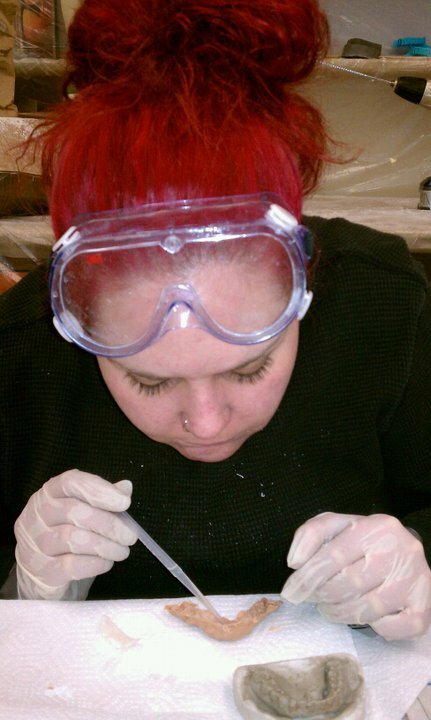 However she is still diligently researching the possibility. Siobhan attended Towson University for her Bachelor's degree in Acting. 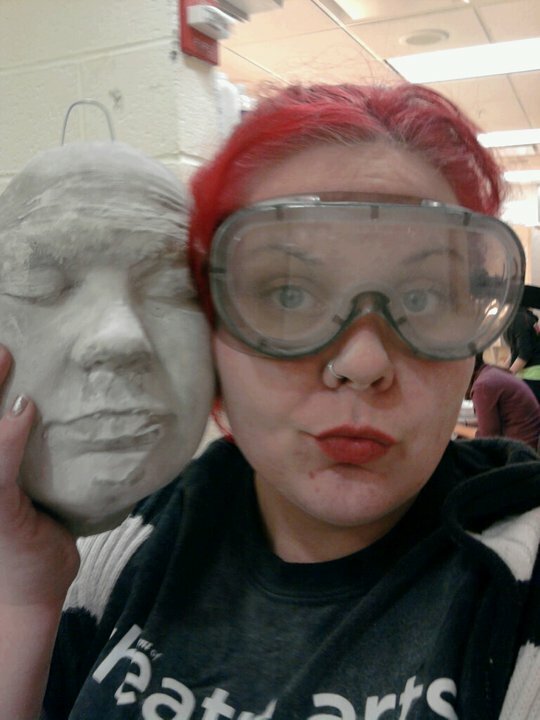 While at Towson, she explored Comedy, Musical Theatre, Shakespeare, Viewpoints Training, Contact Improvisation, Guerrilla Theatre and Self Generated Solo Performance Art. 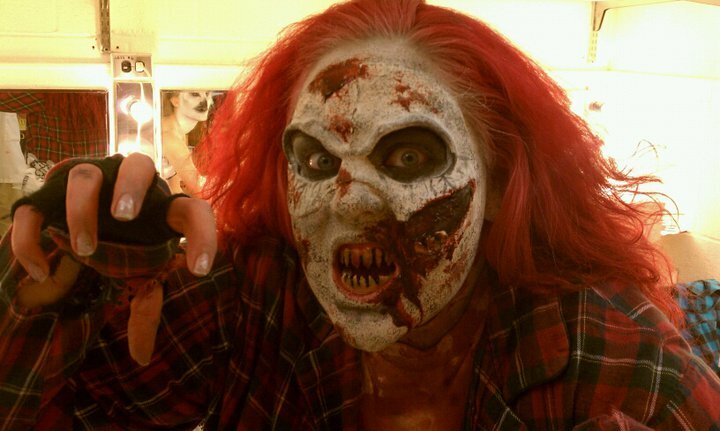 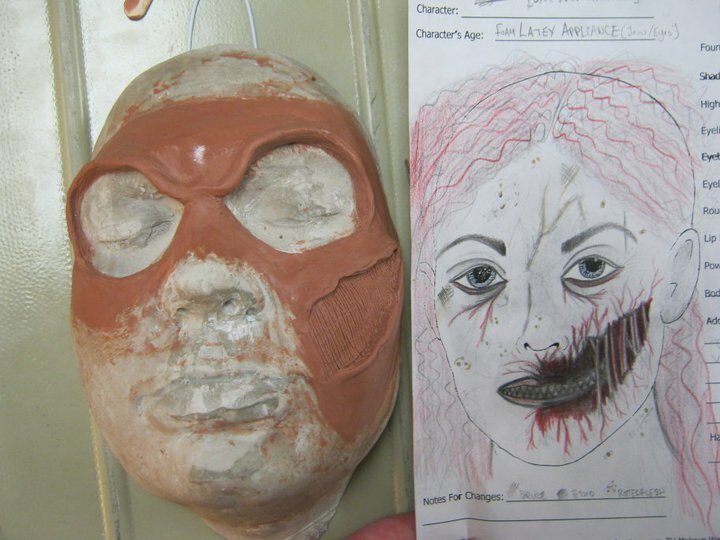 She discovered her love for haunted houses and started honing her craft for makeup artistry. 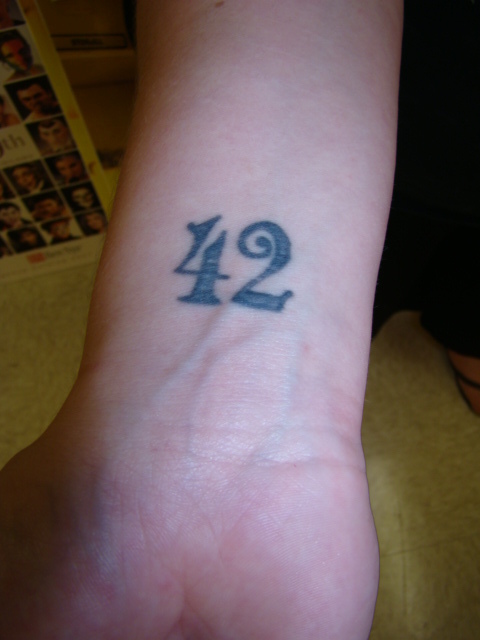 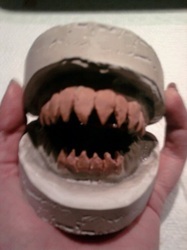 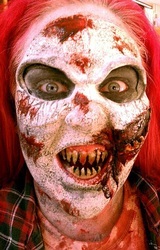 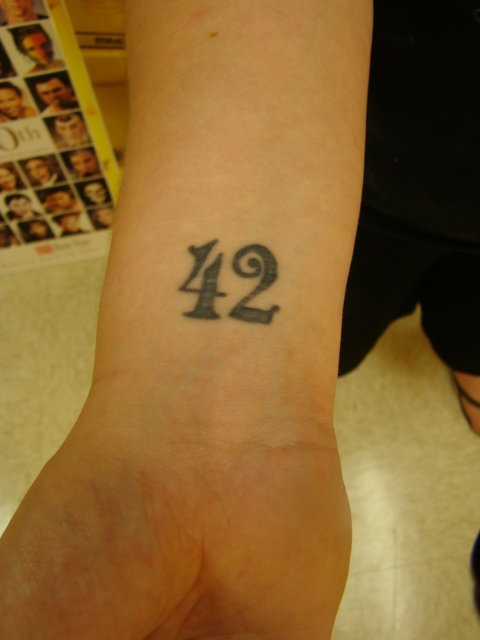 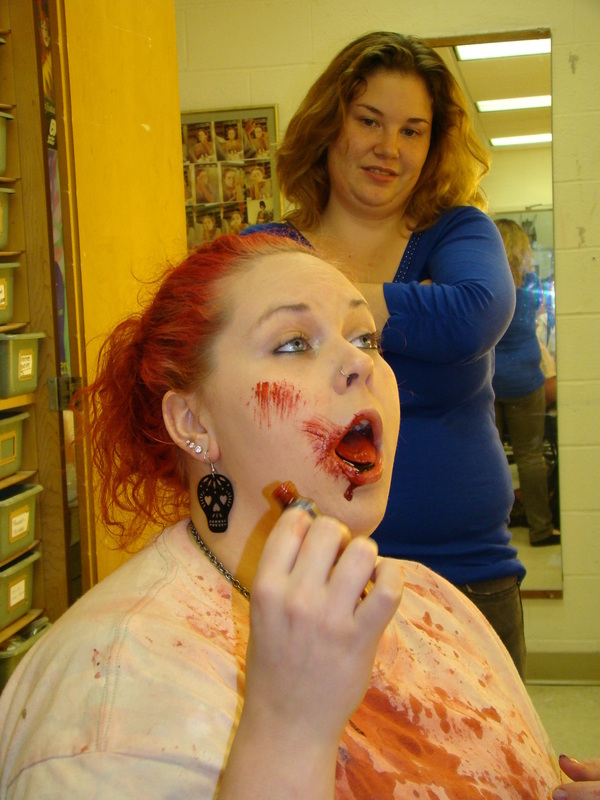 With a passion for horror and macabre, she became particularly interested in gore and Special Fx work. She also became very interested in the art of teaching, and acted as a Teacher's Aid for several makeup and performance classes. 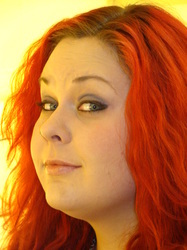 Siobhan has been seen performing in shows at Artscape, Gallery 788, The Station North Chicken Box, The Bell Foundry, E.M.P. Collective, Load of Fun Theatre, Baltimore Theatre Project and Spotlighters Theatre. 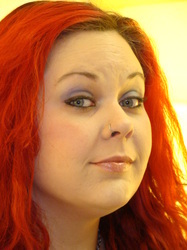 She has been found singing at The Ottobar, Cyclops Art Gallery, Load of Fun, Liam Flynn's Ale House, Swallow at the Hollow, Charles Village Pub in Towson, An Poitin Stil in Timonium, Jay's on Read, The Brass Monkey Saloon as a featured singer in "Burleoke! 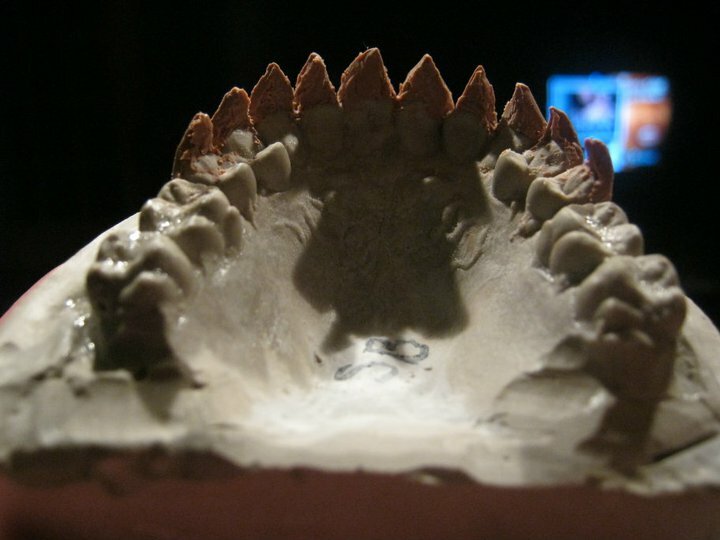 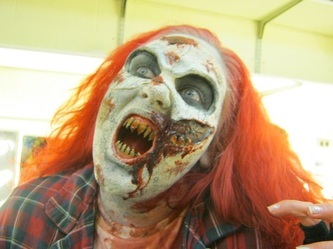 ", on the Ocean City Boardwalk and occasionally, dressed as a Zombie Janis Joplin. She has previously worked with SubMersive Productions, The Annex Theatre, Factory Edge Theatre Works, Glass Mind Theatre Company, Iron Crow Theatre Company, and The Baltimore Playwrights Festival as both a performer and makeup artist. 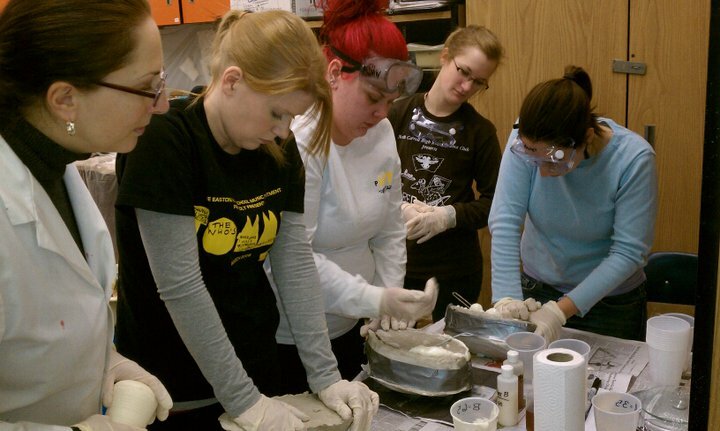 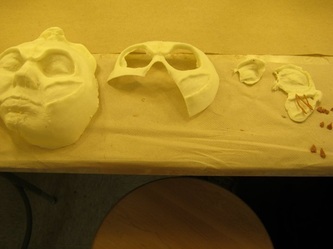 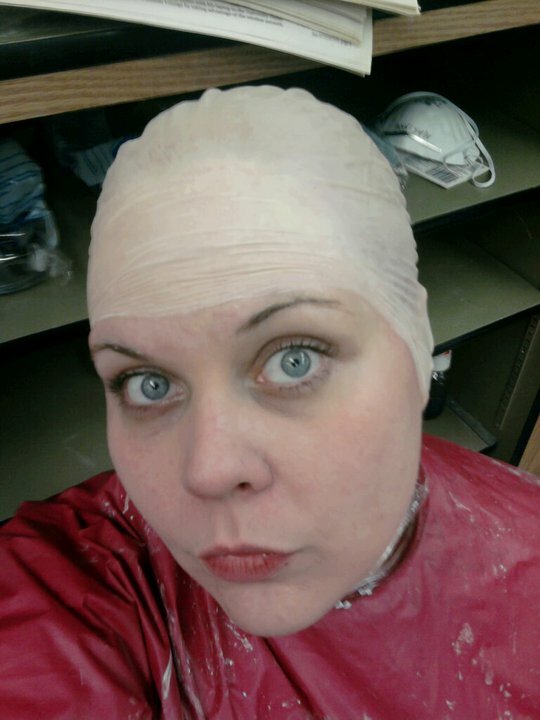 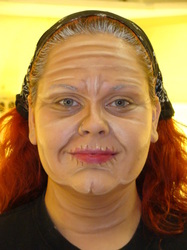 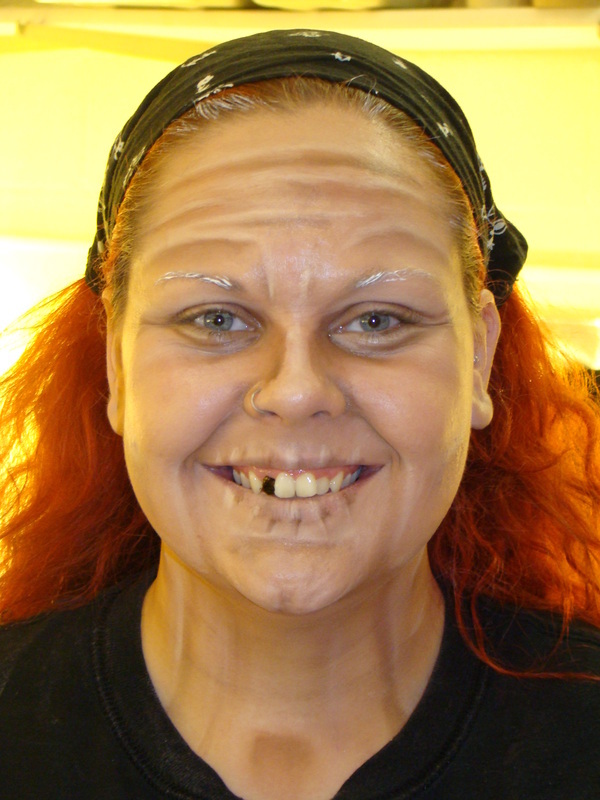 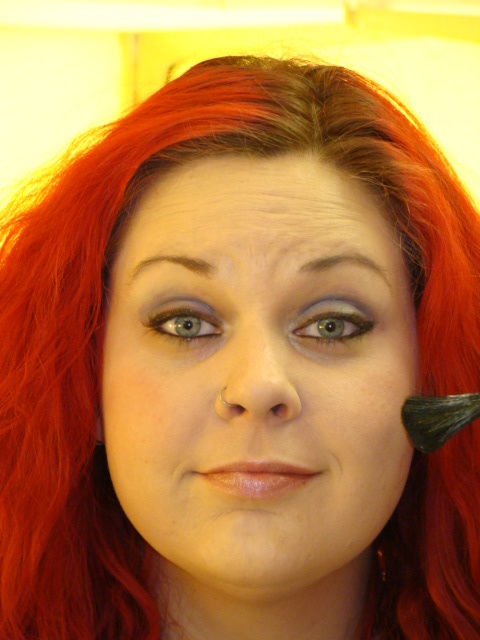 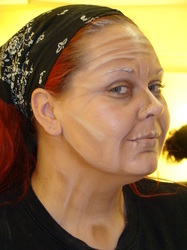 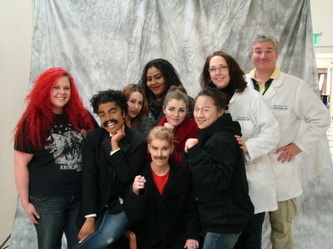 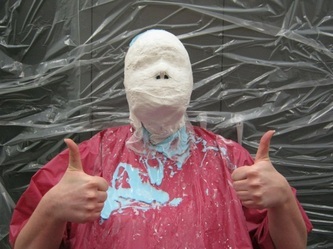 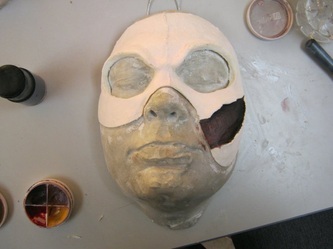 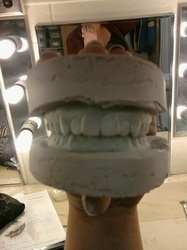 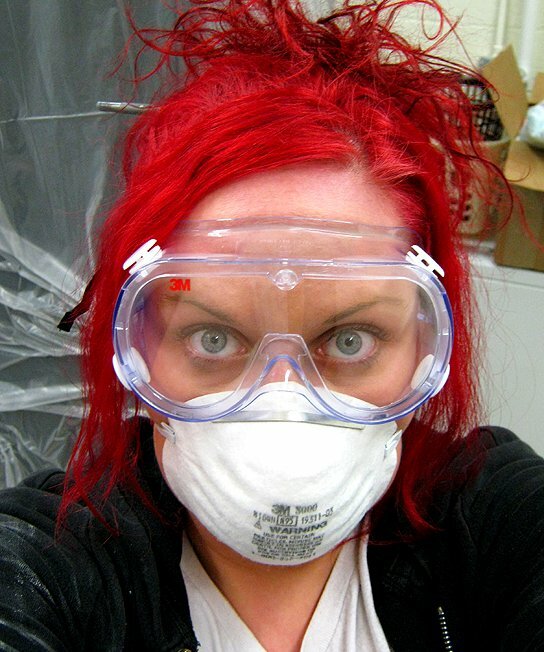 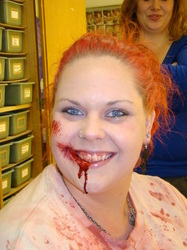 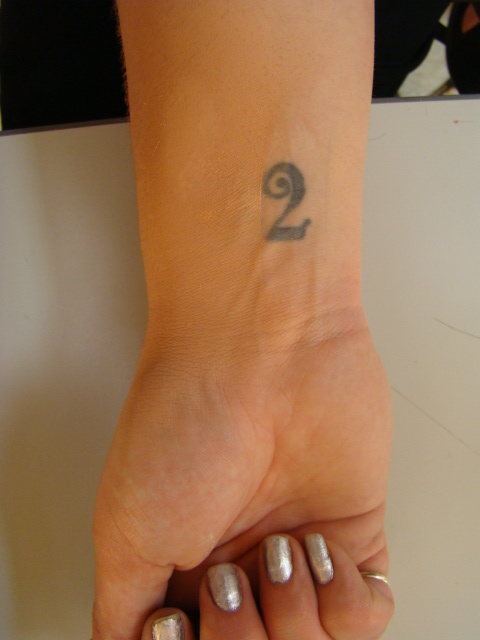 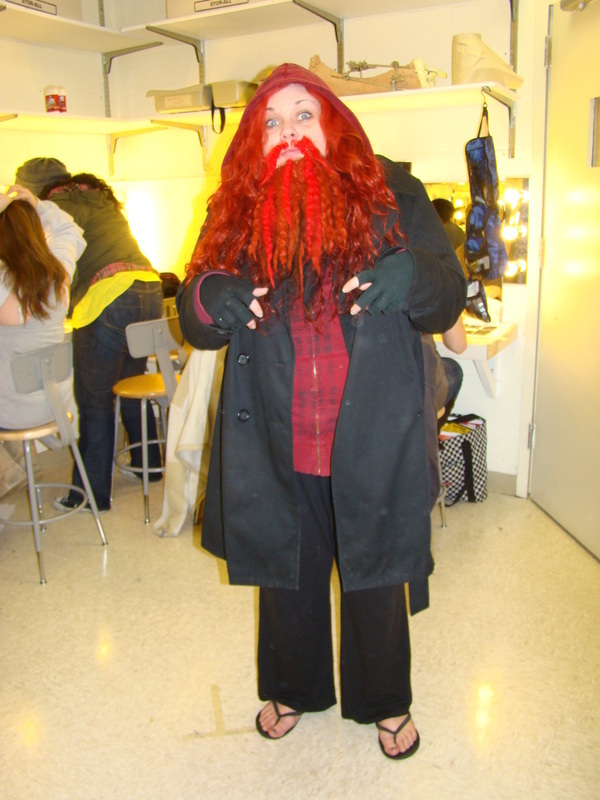 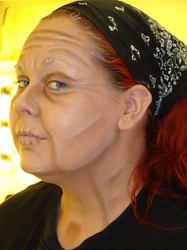 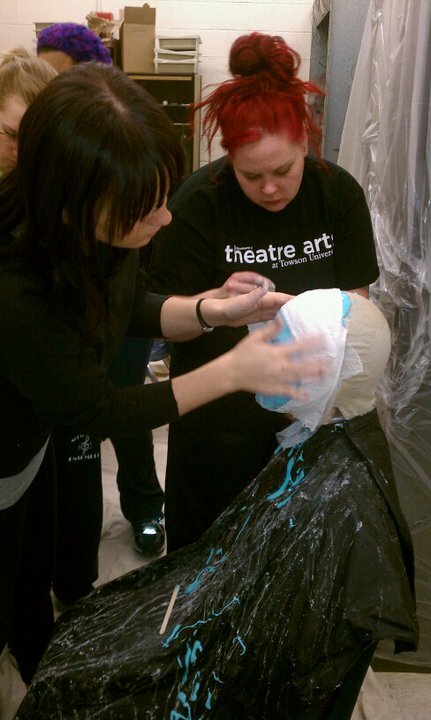 Siobhan has led several successful theatrical makeup and special fx lectures and workshops at Spotlighters Theatre and Centerstage Theatre, among others. Siobhan also enjoys work as a facepainter and bodypainter. 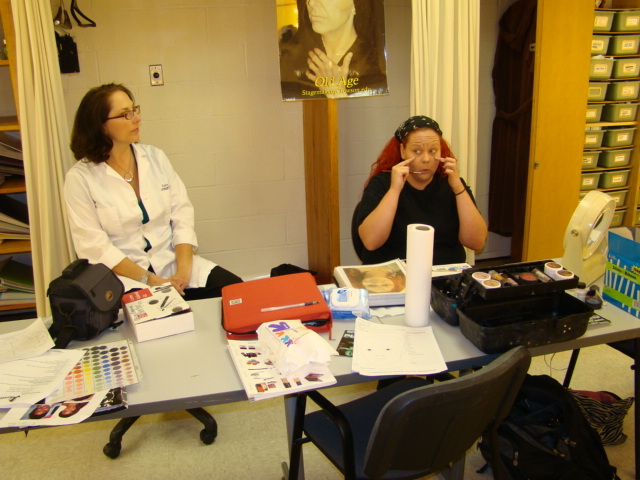 Working with such musicians as electronic singer-songwriter Robert DeLong at shows in the Baltimore and Washington DC area. 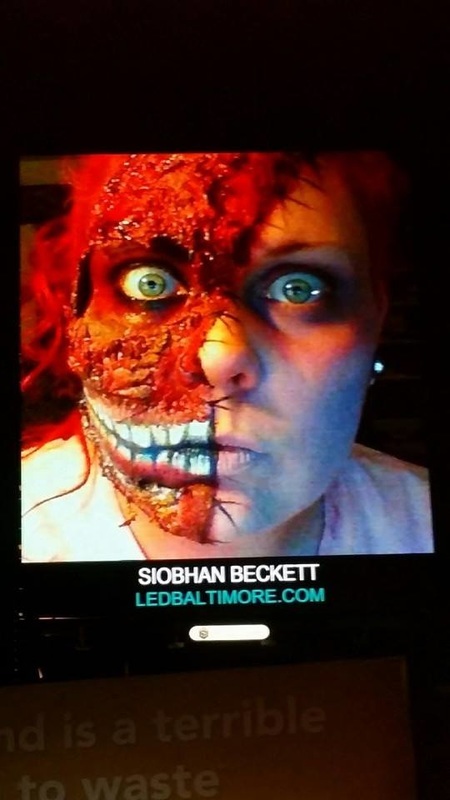 Siobhan is a proud member of the Robert DeLong Facepaint Tribe and Street Team, run by artist Heidi Callaway. 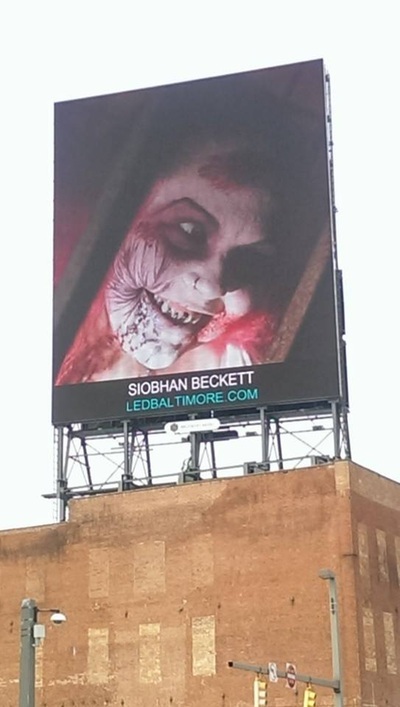 She has been previously known to haunt Field of Screams Maryland, The Timonium SCAREgrounds, and the nationally renowned Bennett's Curse Haunt. 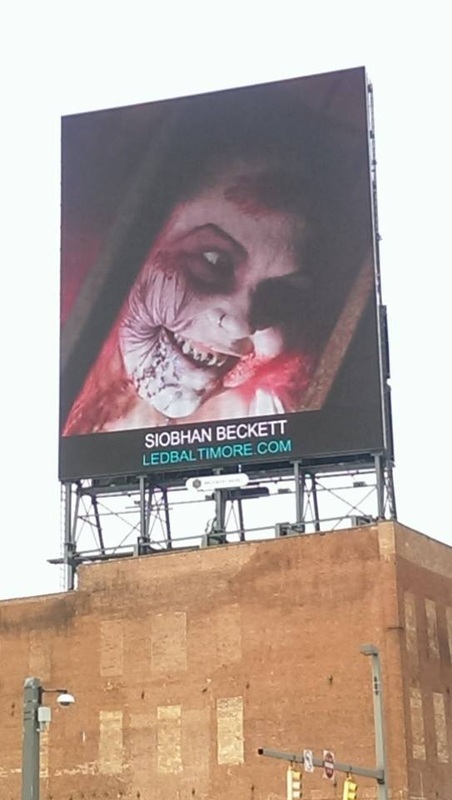 Siobhan is a featured scare actor at the first ever official GWAR haunted house for the annual GWAR B-Q festival, playing the part of "Mr. 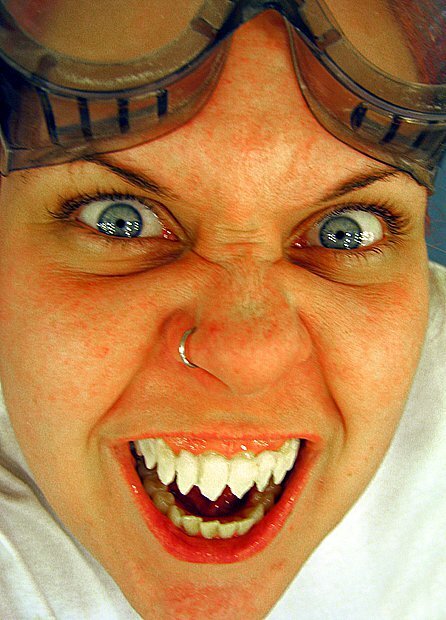 Perfect" and other intergalactic scumdog villains. 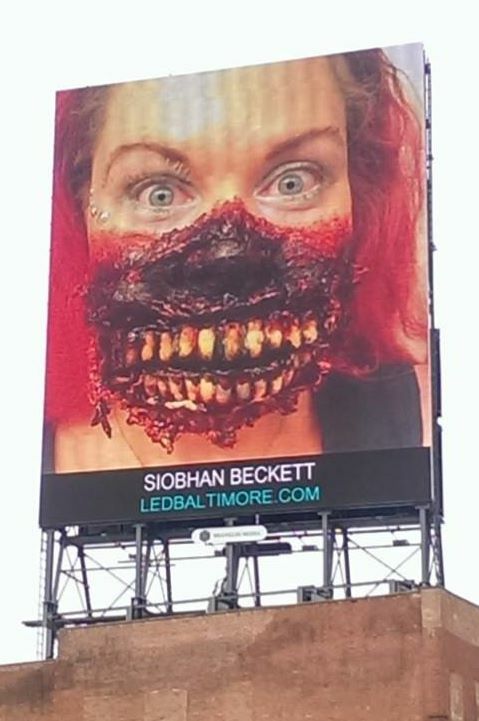 Siobhan can be found using her professional hauntertainer skills year-round at the premiere Baltimore location of a new and exciting, live room escape game. 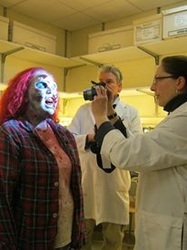 "Trapped in a Room with a Zombie" presented by Charm City Room Escapes in Catonsville! 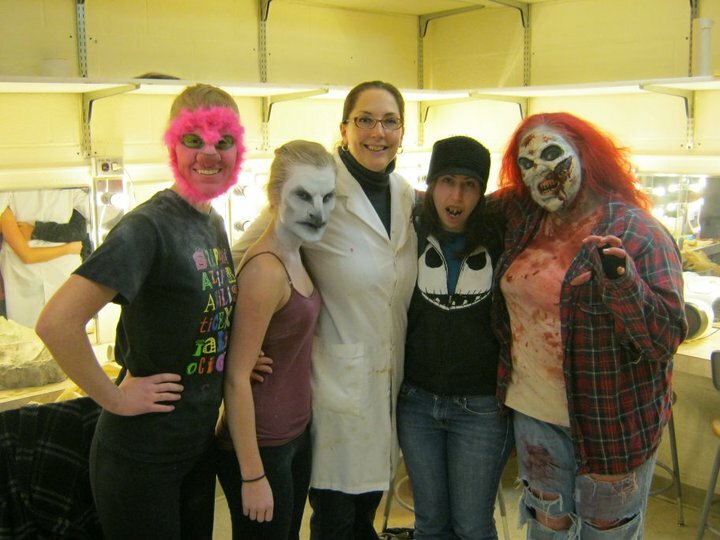 Follow the clues, solve the puzzles, escape the room, and don’t get infected! An interactive live theater experience, a truly unique team-building exercise, and a fun activity for anyone who thinks they have what it takes to outwit a bloodthirsty zombie and survive! 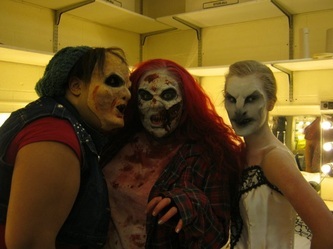 Join us, if you dare! 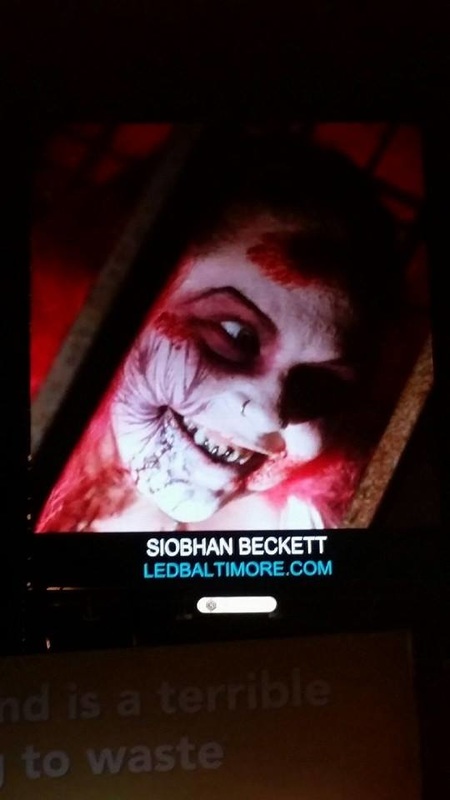 Siobhan is also a character tour guide for the original Baltimore Ghost Tours, escorting patrons around beautiful and historically haunted Fells Point on haunted pub crawls and spooky ghost walking tours. Enjoy a few pints at the pub as you learn about Baltimore's most notorious spirits. 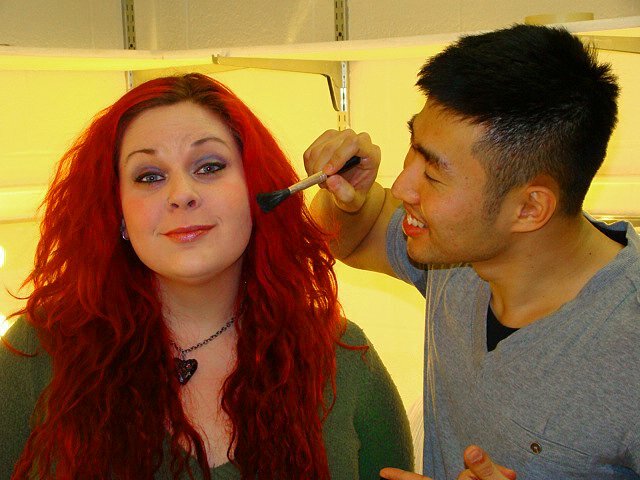 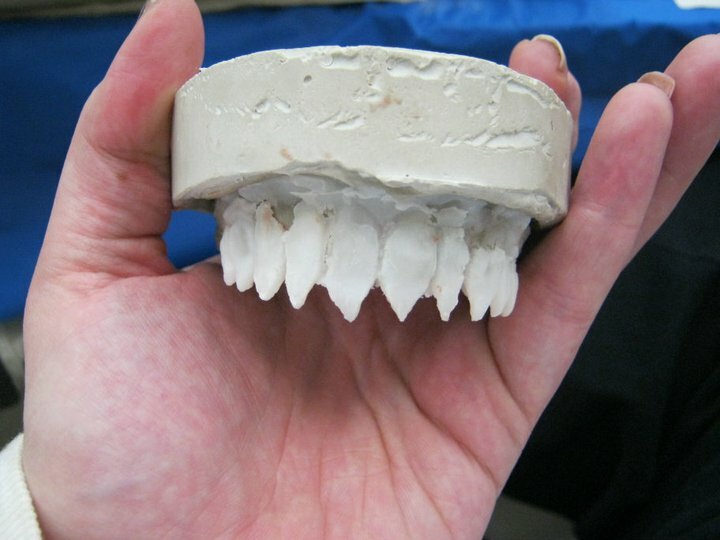 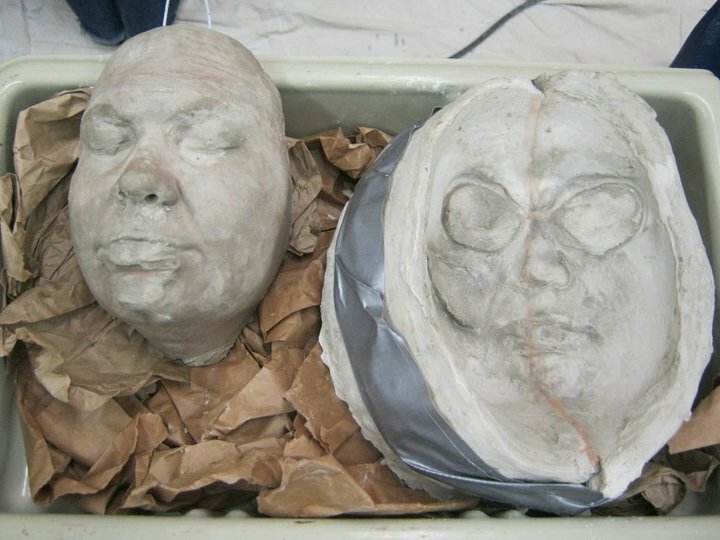 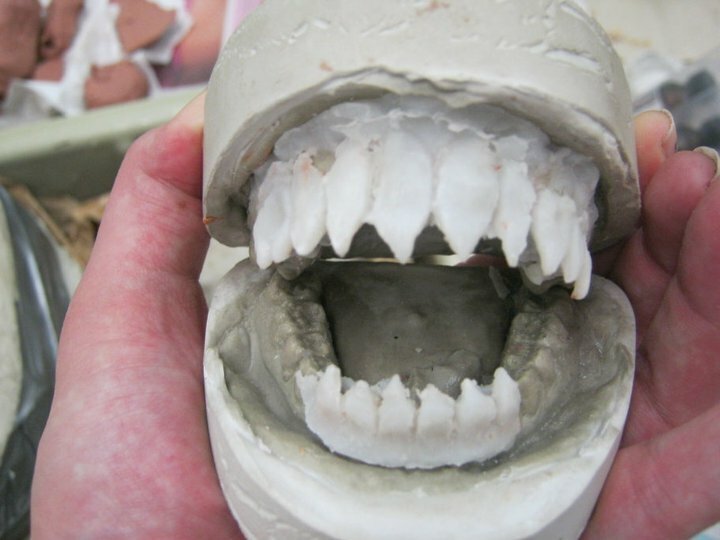 She can also be found working as a freelance standardized patient and moulage wound FX artist for the shock trauma medical training programs at University of Maryland Medical Center. Siobhan was recently spotted on the Netflix original show "House of Cards". 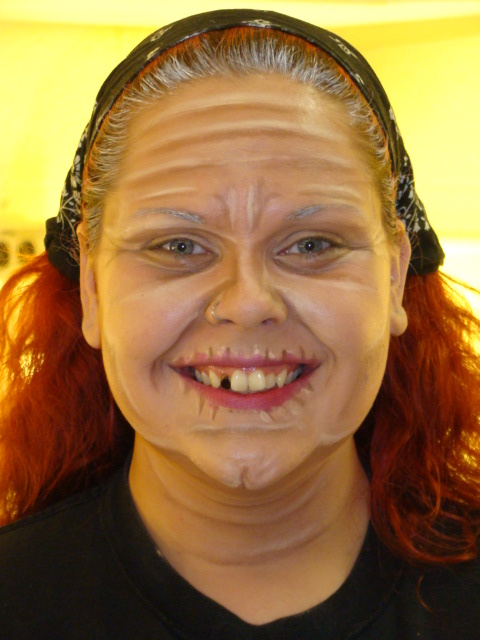 She looks forward to finding more theatre, film, music, makeup and haunting opportunities in the area. 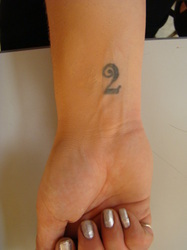 She is excited to hold an official "Bacon Number" of 3. 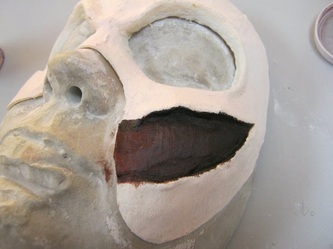 Siobhan is currently involved with a new and exciting experiential theatre piece, The Mesmeric Revelations of Edgar Allan Poe. 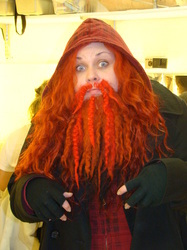 This unique show has been hailed by critics for two highly lauded runs. Mesmeric Revelations is a fully immersive production that transports the audience into an authentic 1840s home. 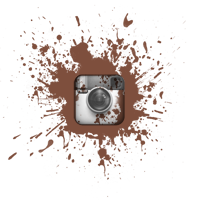 Follow the residents of your choosing and explore the house, the world and the minds of the inhabitants. 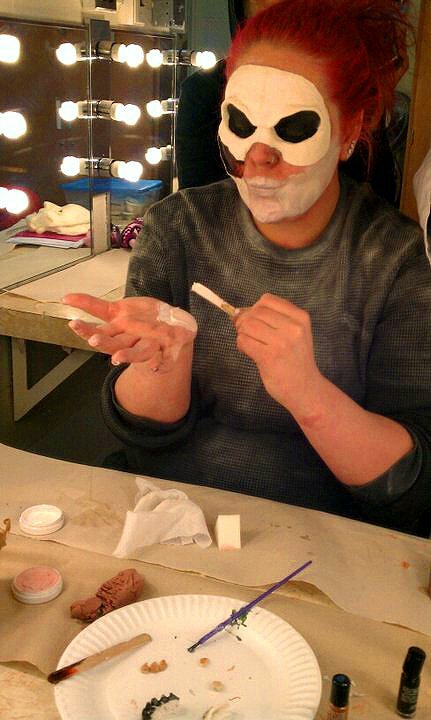 Siobhan designs all of the special fx and makeup needs for the mesmeric world, as well as performs the original role of Madeline, the Keeper of the House, on all Friday and Sunday evenings throughout the run. Don't miss your chance to see this innovative and visceral show. 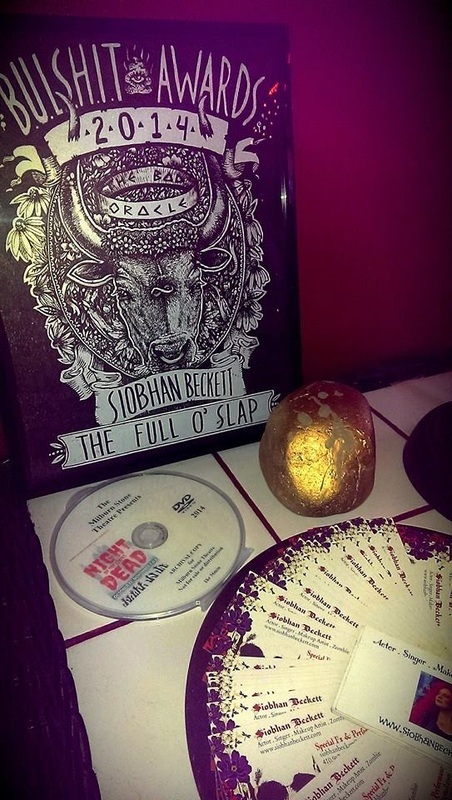 An immersive theater experience in a realm where living, dead, fact, and fiction commingle. 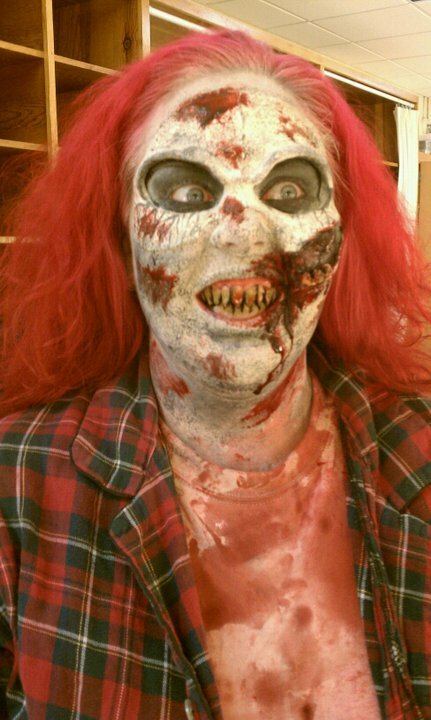 Are you asleep? 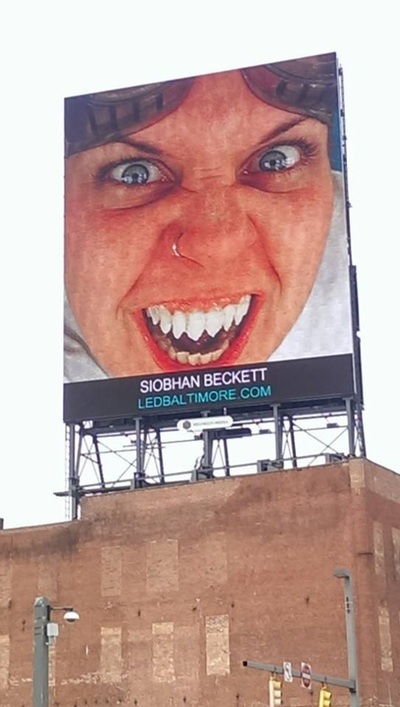 in and around the weird, wonderful city of Baltimore until further notice. 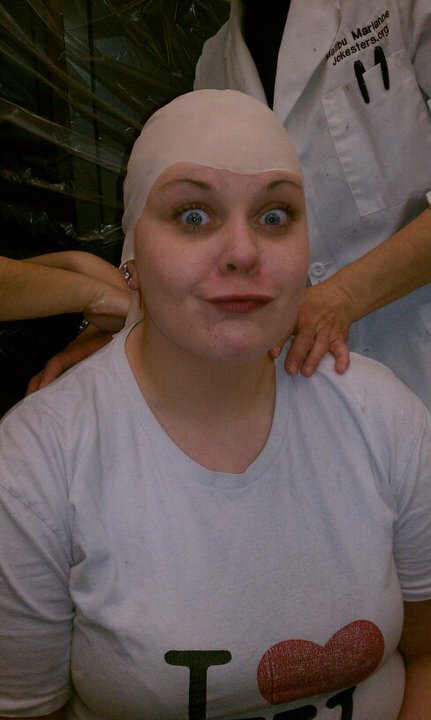 The B.U.L.S.H.I.T. Award 2014 WINNER! The Stoney Award 2014 WINNER! Siobhan has been a Featured Artist on the LED Baltimore Art Board in February, March and April 2015. 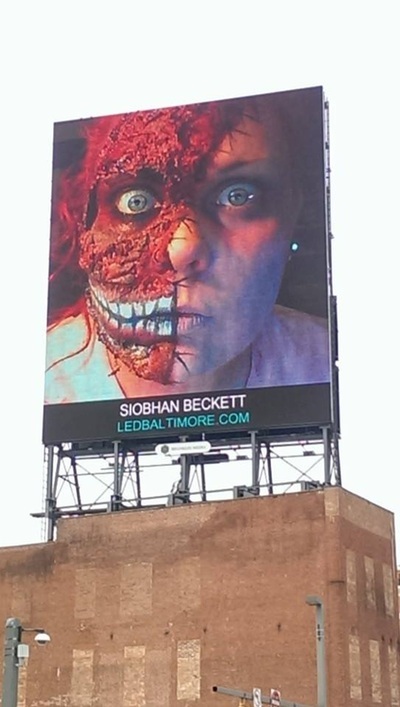 The LED Baltimore Art Board is the nation's largest outdoor digital art display. 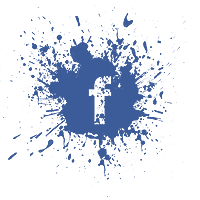 Showcasing local artists every 30 seconds of every minute, every hour, every day, year round! Check out her Featured Artist Profile! 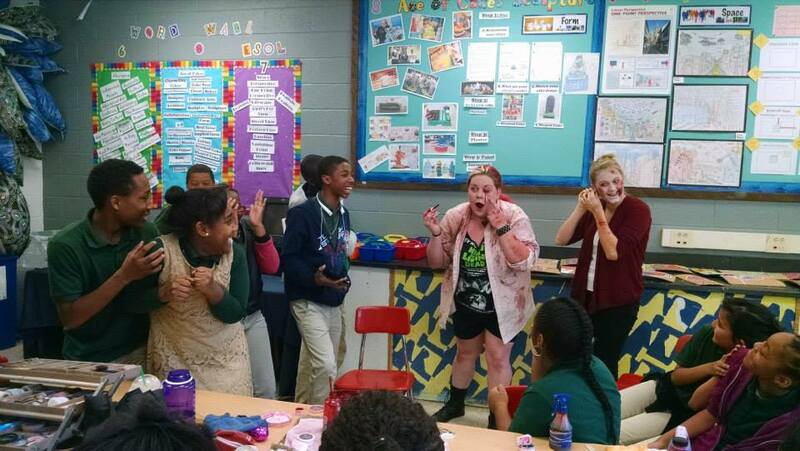 Zombie Invades Baltimore City Classrooms! Siobhan has had a very unique opportunity to talk to the 6th, 7th and 8th grade students of Northeast Middle School in Baltimore City, during their art class with Ms. Megan White many times since 2014! 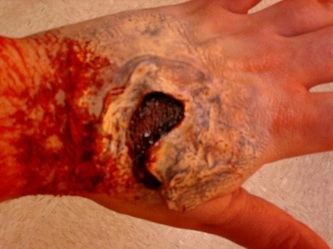 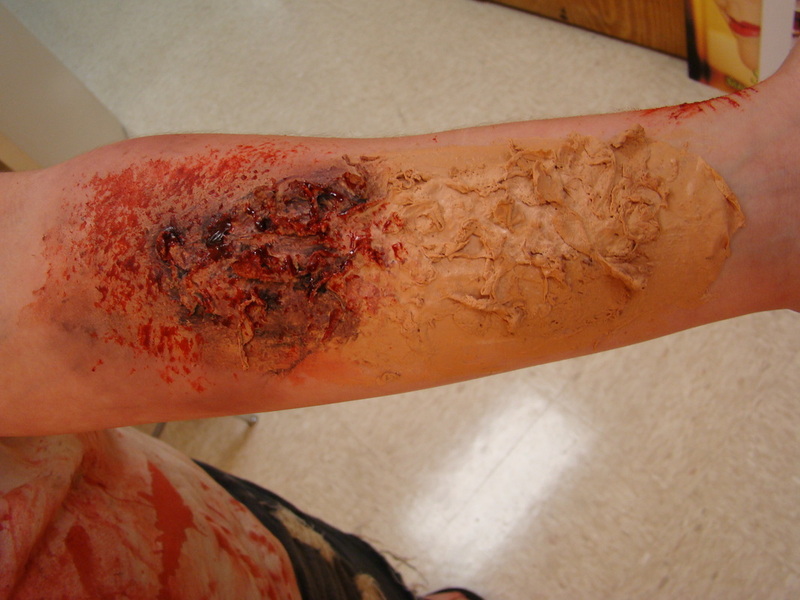 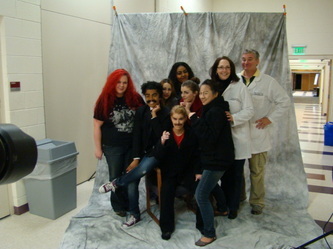 The students all had a lot of fun learning about how to create fake burns, cuts and bruises. Siobhan explained the many different types of theatrical blood, from food based mouth-safe bloods, to nontoxic, eye-safe blood, and showed the students the many tools that she uses for zombification. 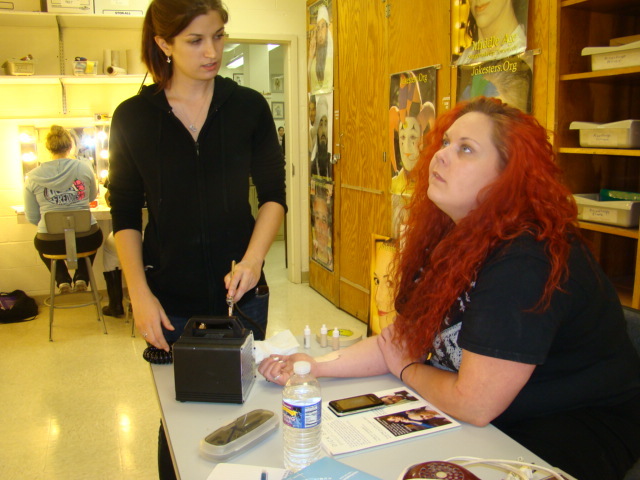 Siobhan talked to the class about having a career in the arts, and the freelance opportunities she finds as a performer and makeup artist. 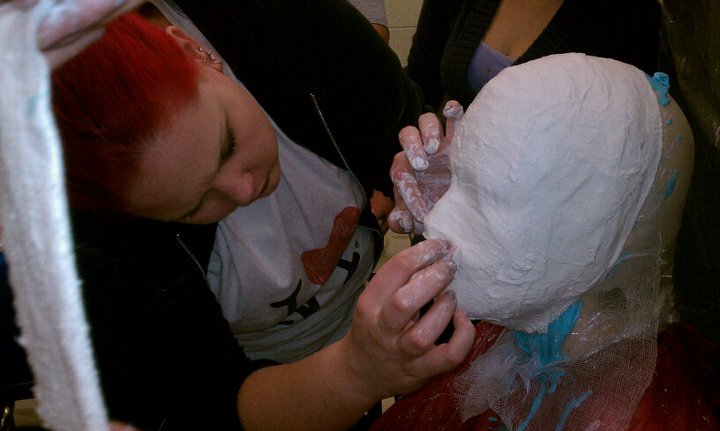 The students asked great questions about getting into college, and what it's like working as a standardized patient and moulage FX artist for aspiring doctors and nurses. The students watched as Ms. Beckett performed a zombie makeup tutorial for the classes. 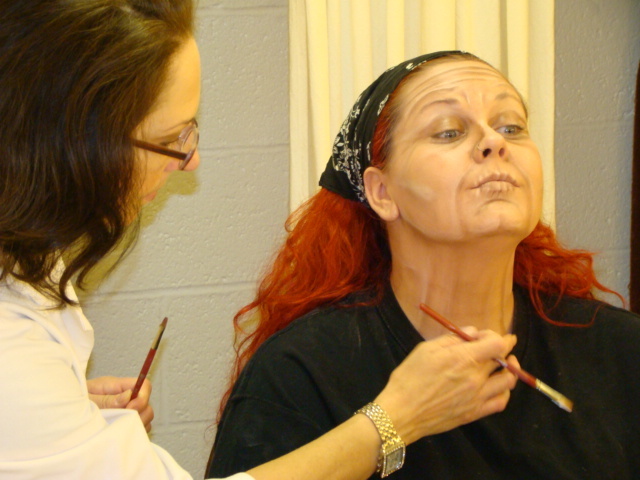 If you would like Siobhan to come in to your classroom and perform a lecture and demonstration, please contact for more info about rates and availability! Steve Bauer and Marianne Wittelsberger, otherwise known as The Jokesters. of which Siobhan was a student and later, a Teacher's Aid.